Have you ever wanted to play taiko at an Obon Festival? Bon Daiko is the folkloric style of drumming played at the Obon Festival, and is the roots of contemporary Naname style. 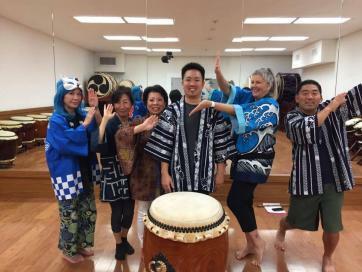 Participants will learn how to accompany popular Minyo folk songs such as Sohma Bon Uta, Hokkai Bon Uta, and Yagi Bushi that are played at Obon Festivals throughout Japan and the US.